Today in the design studio we're oohing and aahing over this lovely arrangement by Romance of Flowers which just plain makes us happy. I don't even mind working late when this is the view from my desk! I'm not normally the take-the-centerpiece-home type of gal, but for the right flowers, I'll always make an exception! This weekend we attended an event to hear Wedding Wire's CMO Sonny Ganguly speak on trends in our industry. 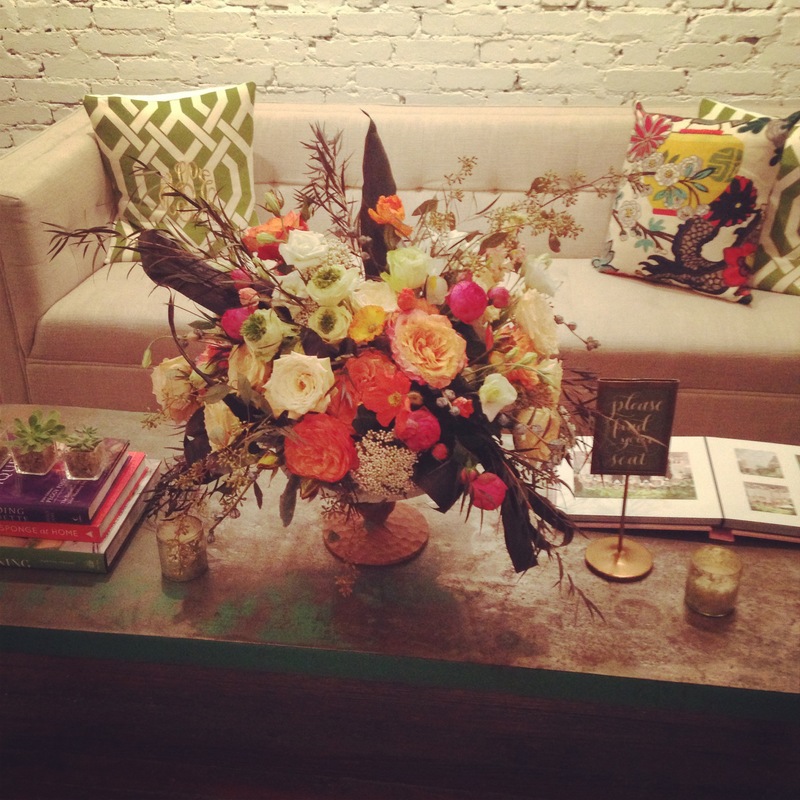 Lucky for me, I was sitting next to Victoria Clausen, owner of Romance of Flowers. We first met Victoria two years ago when we styled a yellow spring tablescape together at The Hay Adams for Engaged! Magazine and have been fans of her lush work ever since. She insisted I take the arrangement home to our studio, and lucky for us, we did! P.S. Huge thanks to Carla David for planning a beautiful and informative event this weekend! We had a wonderful time!